Hella Jongerius designs holistically, rather than adopting the “quantity over quality” mindset of many companies. Fusing industry with craft, high-tech with low-tech, and contemporary with traditional, Jongerius creates furniture, ceramics, and textiles. Among her works in Pathmakers is Polder Sofa XL—part of her redesign project for the United Nations Delgates’ Lounge. Jongerius and her team studied the space and preserved some of its iconic Scandinavian designs. With subdued, neutral-colored surroundings, Jongerius chose greens, blues, and reddish browns for the upholstery. Inspired by the horizontal Dutch landscape, the sofa takes its name from the Dutch word “polder”—land reclaimed from the sea. Manufactured by Vitra, Polder Sofa XL features rectangular cushions arranged to offset gaps. With subtle color variations, the cushions are made with high-tech thread and accented by large buttons made of natural materials. The sofa, with a 20,000-porcelain-bead curtain, privacy bubble desks, and rolling chairs, revitalized the lounge for quick, informal meetings between delegates. In NMWA’s collection, Jackie (India), painted by Andrea Higgins in 2003, also integrates politics and textiles. 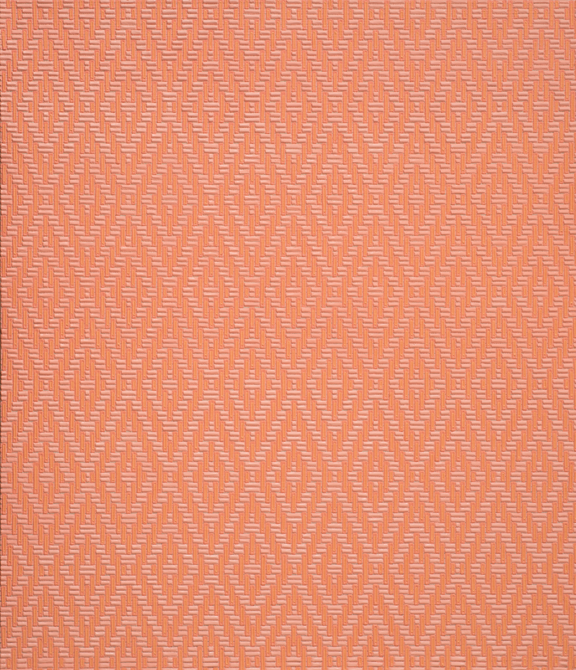 Based on Jacqueline Kennedy’s iconic outfit worn during her 1961 trip to India, Jackie (India) looks like a magnified fabric swatch. To create this work, part of “The Presidents’ Wives” series, Higgins examined photographs, enlarged the textile, and mimicked the fabric’s stitches by layering painstaking, uniform brushstrokes. 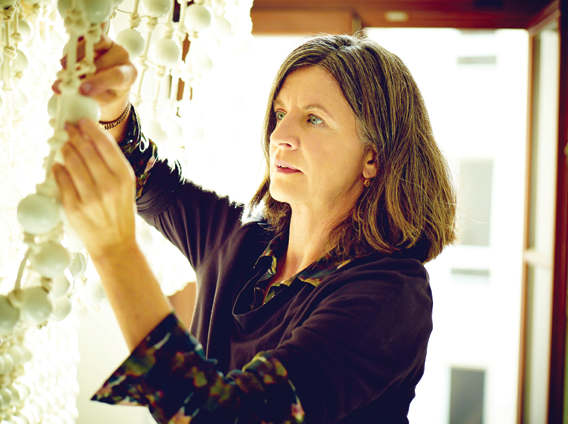 Impress your friends with five fast facts about Andrea Higgins, whose work is currently on view at NMWA in the collection galleries. Higgins’s interest in fabric goes back to her childhood visits to Britex Fabrics in San Francisco. The textiles purchased and worn by her grandmother inspired her earliest abstract portraits. In her “President’s Wives” series, each painting is named for a first lady. From Jackie Kennedy’s pillbox hats to Hillary Clinton’s iconic pantsuits, these portraits not only represent the women they’re named for, but also the administration and history of which they were a part. 3. What’s in a Fabric? On a trip to Indonesia, Higgins witnessed the effort women put into dressing for temple, hoping to attract the attention of the gods. This “ultimate power dressing” struck her as a parallel to the way the style of first ladies influences the public. In more recent work, Higgins’s portraits represent fictional characters and their surroundings. Rather than using photographs as inspiration, these paintings bring an author’s description to life. In Higgins’s work, each “stitch” is built up as she applies paint layer by layer. 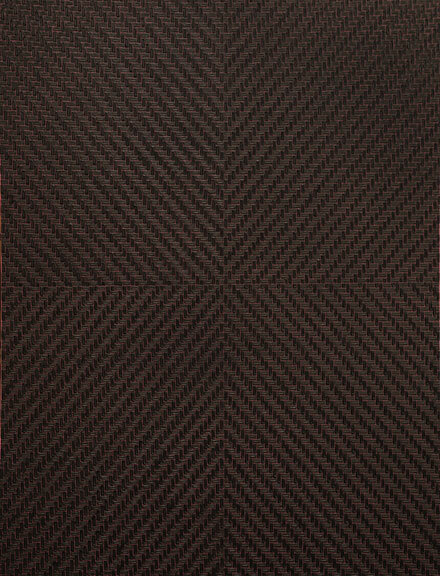 From a distance, viewers see the overall pattern, but up close the thickness of the paint is evident, and so are the repetition and uniformity of her brushstrokes. —Ashley Harris is the assistant educator at the National Museum of Women in the Arts.